Fast Cleaners Hammersmith Fulham takes reasonable responsibility of ensuring that all information contained in these web pages is valid, up to date and accurate. However, the use of this information is for your own knowledge, information, ideas and training only. You can always use information in our pages at your own risk. Also, pictures and images on these pages are for illustration and for providing extra information and training. We assume they are valuable, informative and useful to all. We do not guarantee our website for operation errors, computer virus or any other harmful bugs which may be incurred while using our server. Our cleaning company will not by any case be liable for any loss or damage, which may be as a result of relying on or using any of the information contained in this web site, be it direct or indirect, incidental, special or consequential, whether advised of the possibility of such damage or not. The information contained in this website and its web pages is clearly without any warranty both express and implied, fitness for special purposes, completeness, accuracy, and infringement or title. We do not also guarantee, recommend or support any of the third-party products or information mentioned or authored. We own and operate this site. We do care on your internet privacy and want all our visitors and clients to have a safe and satisfying online experience. Fast Cleaners Hammersmith Fulham operates secure data networks. The company usually has a secret password protection programs and standard firewall. 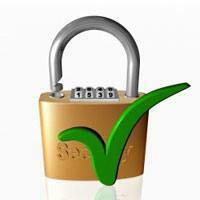 We frequently review and enhance our privacy and security policies. Also, only the specified and authorized personnel have access to our data and information provided by the customers. We gather information on voluntary and optional basis from our customers and we do not share any information provided to us with a third party. If you need more information or you want to find out about our cleaning prices, give us a call on 020 3322 7168.